In 1994 Captain Charles Moore founded the Algalita Marine Research Foundation. In 1995 he launched his aluminum hulled research vessel, Alguita, in Hobart, Tasmania. Since then he has logged over 100,000 miles of research voyages aboard. 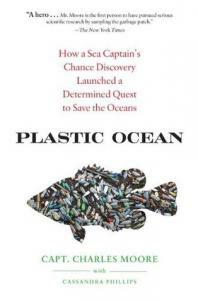 His 1999 study shocked the scientific world when it found 6 times more plastic fragments by weight in the surface waters of the central Pacific than the associated zooplankton. His second paper found that plastic outweighs zooplankton by a factor of 2.5 in the surface waters of Southern California.